In continuation of our series on monthly food holidays, we’re going to turn to a series of foods that evoke a sense of warmth, sweetness, and stickiness. Considering that it’s been a pretty warm and sticky month so far here in Michigan, I’d call it quite appropriate. And we’ll say it’s sweet too because September brings with it the first hint of fall. Which, to us Michiganders, is often the sweetest and gentlest of the seasons. So, I invite you to join me on a blog-length foray back in to the agricultural industry. Today, we’ll look at the ins and outs of four food holidays coming up this September. 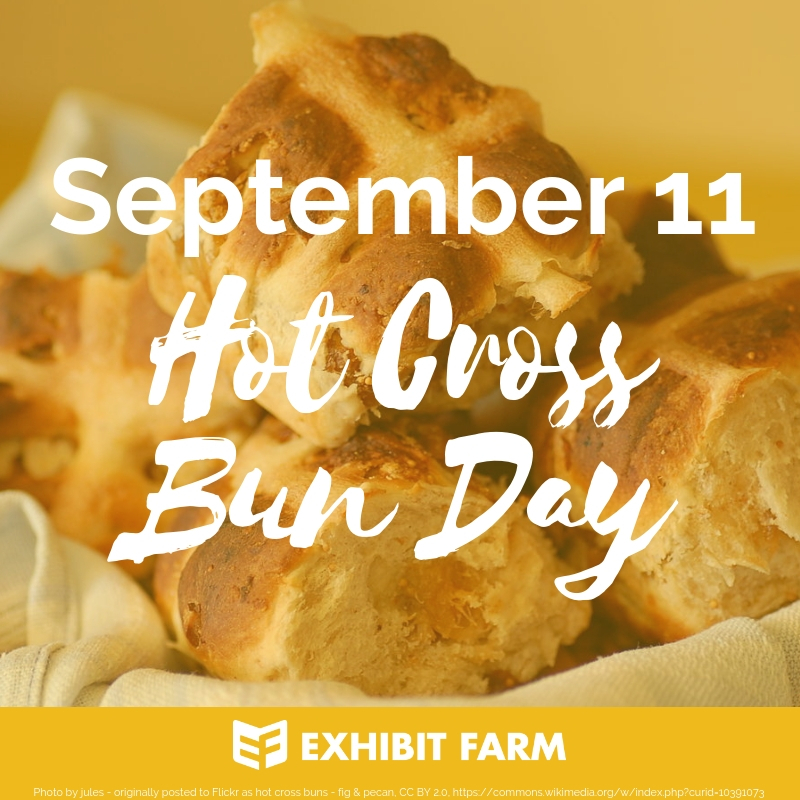 Find your honey bears and ice cream cones, grab a cup of coffee, and get ready to take a big bite out of a hot cross bun. You won’t regret it. Okay, so if you live in North Dakota, I’m officially jealous of you. Not just because you guys have lovely fields, gorgeous sunsets, and a nice remote location in the upper midwest. But also because you guys are the nation’s top producer of honey. Listen to this. When it comes to a lot of agricultural products, not every state can participate in production. For instance, California is the only state to commercially produce certain specialty fruits and nuts. When it comes to honey, though, every state produces its own share of the glorious gold. Even though this fact seems like it would lead to a pretty even spread for the honey industry, one state far surpasses all the others in total pounds of honey produced. And that’s North Dakota. According to the National Honey Board (wouldn’t it be cool if it was the National Honey Comb? ), North Dakota produced a whopping 37,830,000 pounds of honey in the year 2016. North Dakota’s sister state, South Dakota, came in second with only 19,880,000 pounds, giving good ole N.D. a pretty solid lead. Montana, Florida, and California follow the Dakotas in the other top five honey-producing slots. The Honey Board also reports that, in 2010, the United States consumed 410 million pounds of honey within just that one year. That makes for an average of about 1.3 pounds of honey in each person’s belly within 12 months. Pretty good evidence that Americans like their honey, if you ask me. And that isn’t such a bad thing. Honey actually has some surprising health benefits that will make you want to lather it generously on your next dinner roll. 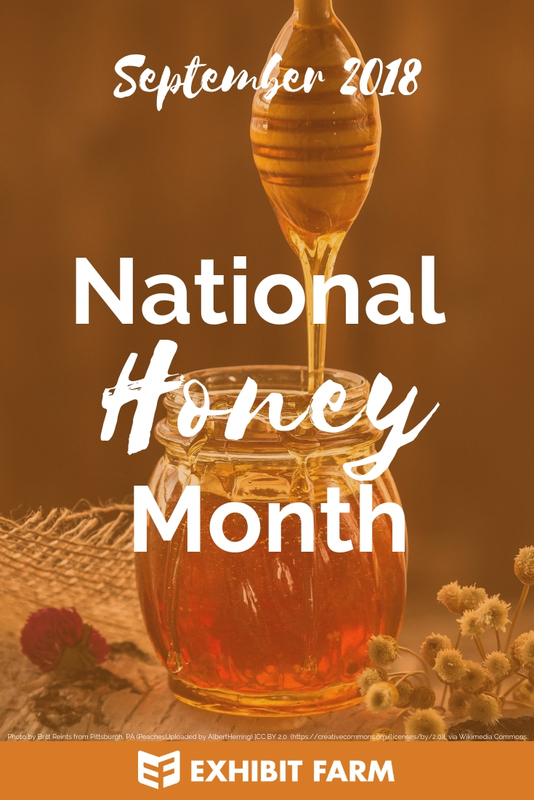 In fact, why not make it a regular addition to your meals in celebration of National Honey Month? If you want to learn about where honey comes from, check out this cool YouTube video. And, to spread the word about honey and the bees that make it, consider investing in our Buzz About Bees display. Learn more at the Exhibit Farm Catalog page. Speaking of honey and rolls, I suppose now’s the time to talk about a certain variety of bread product that would likely go great with your spoonful of honey this September 11. Called “Hot Cross Buns,” these buns are the subject of myths, legends, and nursery rhymes. Simply a “spiced sweet bun” marked with a cross on the top, these goodies are commonly consumed on Good Friday by folks in places like the United Kingdom, Ireland, and Australia to mark the end of Lent. According to the Ferguson Plarre Bakehouses website, the cross on the top of the buns signifies the crucifixion of Jesus as recorded in the New Testament Scriptures. The spices in the buns, meanwhile, represent the spices put on his body when he was buried and before he rose again. Beyond this cool symbolism, there’s also a kinda goofy history surrounding the Hot Cross Bun. According to an article at the Smithsonian website, a 12th century monk was the first recorded fellow to make buns with a cross on them in celebration of Easter. But they also appeared in ancient Greece. Only, it wasn’t until the 16th and 17th centuries that the buns got their name. Legend has it that a hot cross bun hung from the rafters of a kitchen on Good Friday won’t go bad for a whole year. It’s also said that they protect against fires and guarantee that bread baked in that kitchen will always turn out great. I’m not so sure about all that, but I do know that these buns sound like the excellent treat to break a fast or celebrate a holiday. Shout out to our wheat, spice, and dairy farmers for their contribution to this delectable dough. As with the hot cross bun, there’s also a haze of myth and legend surrounding the history of the ice cream cone. But they’ve definitely been around for at least a century. According to one ice cream historian cited at Time magazine, though, they could be even older. In Paris, an 1807 etching depicts what may be an early iteration of the cone. Other written descriptions of cone-like edibles from the early and mid 19th century refer to them as “cornucopias.” These early ice cream cones seemed to be an element used in fancy desserts. Not today’s messy, sticky substitute to eating ice cream with a spoon. 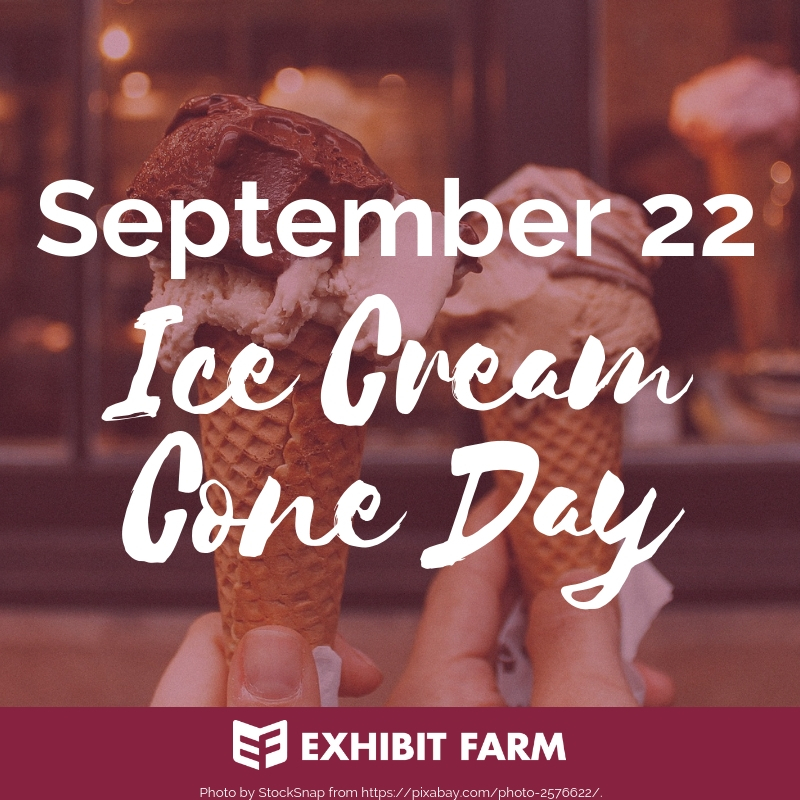 Whatever sorts of cones they had in the early and mid 19th century, though, ice cream cones as they are today didn’t make an appearance until later in the century. That’s when Italian immigrant Italo Marchiony started selling lemon ices in New York. Looking for a way to avoid using glass dishes to serve his ices, he developed edible cups. He then patented his own method for making these waffley containers in 1903. A year later, at the 1904 World’s Fair in St. Louis, the modern cone got some real traction among attendees. Whether or not Marchiony was a part of this cone popularization at the fair is somewhat uncertain (compare here and here). But, either way, it’s apparent that the cone is here to stay—thanks to history’s ice cream innovators. It’s a simple combination of mostly flour and sugar. But these lightweight cones make all the difference with a generous scoop of ice cream. The most common varieties are waffle cones, sugar cones, and wafer cones. 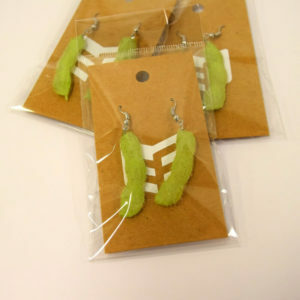 You can make them by hand, but factories can also roll them out pretty quickly. To see how they do it, check out this cool video. Thanks to guys like Marchiony, there’s a whole industry behind your cone’s crunch. As usual, farmers are at the back of it. Without them, we wouldn’t have flour or sugar. Or the necessary cream, for that matter. Now, to warm you back up after you enjoy an ice cream cone (or two), we’ve also got a Coffee Day coming this month. Not everyone likes the bitter taste of this drink. And some people only drink it cuz it’s warm. Or they drink it for all the cream and sugar they add. Regardless, coffee is an internationally consumed and beloved beverage. Although, surprisingly, it does not surpass its cousin drink, tea, in worldwide popularity. Okay, so it’s not as internationally popular as tea. But you’d think that it’s at least the most popular hot beverage in the United States. And you’d be right. According to a 2016 graph from Market Watch, Americans consumed 88.8 gallons of coffee on average that year. That’s compared to the 33.5 gallons of bottled water. Woah. And recent studies show that the Americans who drink coffee on a regular basis make up as many as 64% of the U.S. population. Despite those impressive numbers, though, the United States is not the top worldwide coffee consumer per capita. In fact, the United States doesn’t even make the top twenty countries. According to this list, it’s way down at slot #22. But one obvious reason for this could be that there are colder places in the world than the U.S. It would at least explain why the top countries are places like Finland, Norway, and the Netherlands. In those places, they drink between 8 and 12 kilograms per capita per year. 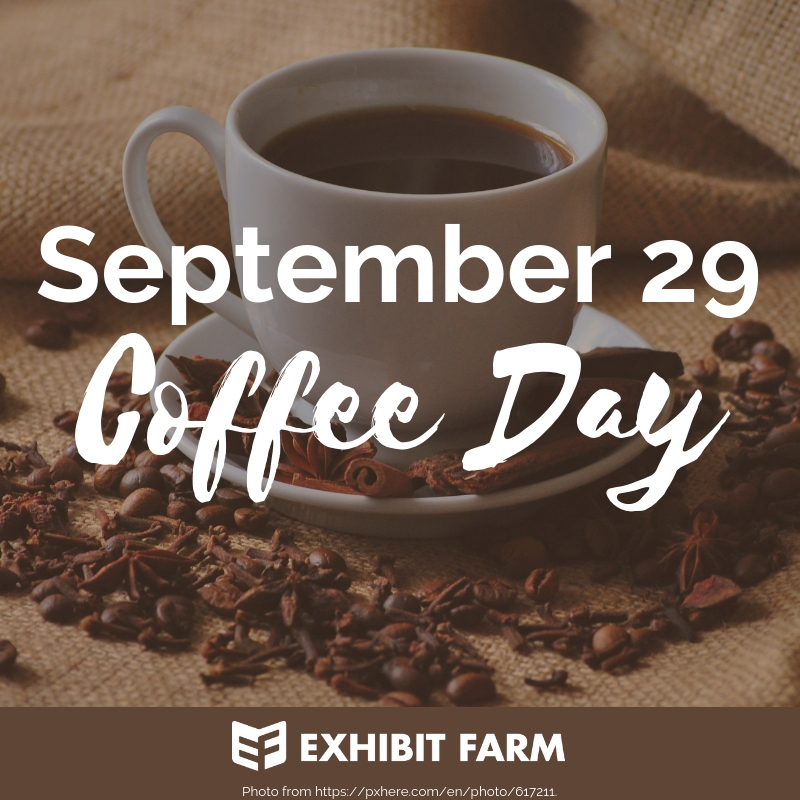 As you sip your obligatory coffee cup this 29th, you can thank growers in Hawaii (and some in California) for putting the country in the U.S. coffee game. They have the right conditions for farming those funky cherries that hold the coffee beans inside. Didn’t know there were such things as coffee cherries? If you wanna learn more about how coffee grows, check out the National Coffee Association website! Did you find any of this stuff interesting? Well, everything you eat has a similar history behind it. And that’s a history worth sharing. Especially since it’s a history so closely intertwined with the agricultural industry here in the United States and around the world. They say that the best way to a person’s heart is through their stomach. So I dare you to give it a try. 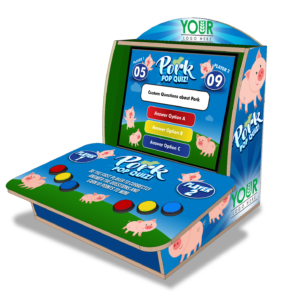 Use these stories about food in your own agricultural displays. Teach people about the stuff they eat. And, while you’re at it, show them how modern agriculture plays a part in keeping these food histories alive. As I mentioned earlier, check out that Buzz About Bees display to teach consumers about honey. 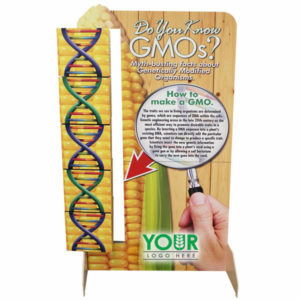 Or customize one of our other catalog products to share about one of the ingredients behind some of these other foods—whether it be dairy, wheat, sugar beets, or coffee plants. Whatever it is, get creative! Happy eating! For the rest of September food holidays, check out this comprehensive list at Foodimentary.com. Sign up to receive monthly product recommendations and updates about our best blog posts.